I heard about SHREDZ Supplements through Instagram ads featuring their variety of supplements and their workout videos. I was I intrigued by the transformation photos people sent in who had lost weight using their products. I thought wow!! I can do that, and I need to! My life before Shredz was me just being lazy, unmotivated, and not happy! All I did was lounge on my couch eating chips. I chose the products I use because at first I liked the idea of a 30-day weight loss jump start. Now I just love how the products make me feel and how it helps me go beast mode in the gym. The SHREDZ experience was and is beyond words. My first week on SHREDZ, my mind was set: I had all the proper supplements and instructions on when to use them. My fridge and pantry were stocked with the "right" choices, and my workout plan was at my fingertips on my phone. I was greatly prepared my first week thanks to all the prep SHREDZ gave me in advance. I knew what needed to be done; I just had to follow through with it! I received the SHREDZ workout plans and nutritional guides. The workout plans are very informative, telling me how to properly perform the exercises, including pictures to show how to do them. There is a great variety to choose from on whatever you want to work on. The nutritional guides are very helpful in deciding what I needed to stock my fridge and pantry with and what to avoid. Pretty much they created a shopping list for me. I have taken lots of supplements before in search of finding the right ones that work with my body. My experience with SHREDZ by far has been the best for my body. I was tired of getting a sick feeling from supplements that were too overpowering for my body. With SHREDZ I have never experienced any of these symptoms. I only have clean, non-jittery feelings with lots of energy! I believe in the company and their goals and visions and what they stand for, and that is what I want in my life as well: to help others who need that extra push, or those that want to start and don't know where. Motivating/Inspiring is a common ground! I would recommend SHREDZ to my friends and family. 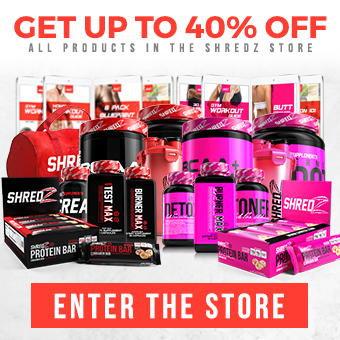 Anyone that wants to lose weight, gain energy, get fit, and change their lifestyle for the better needs to try SHREDZ Supplements and all they have to offer. I am a happy confident woman, I look in the mirror and I'm not ashamed what I see anymore! Hard work pays off for those that want it bad enough! My overall experience using SHREDZ Supplements has been one to put in the books as a life changing experience. With all the correct supplements, all the informative workouts, videos, nutrition guides, the team support, I knew I could pick up the phone and call SHREDZ and someone would give me the answer to the question I had. They gave me all the resources I needed to start, and that's what I did. 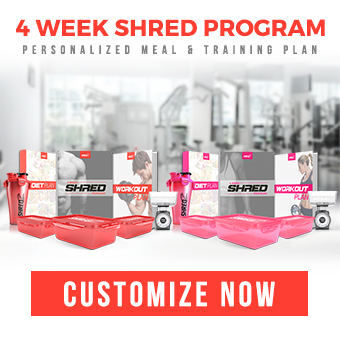 You have to be dedicated, driven, and motivated to want to change--SHREDZ gives you the blueprint on how to start. It's up to you to follow through and do the rest, and know they are with you on the journey! Unwind After Long Days : Top 3 Ways!